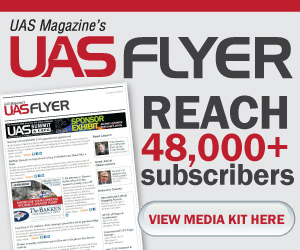 What does the FAA Reauthorization Act mean to the UAS industry? The new FAA Reauthorization Act will not only open the door for more commercial opportunities within the UAS industry, but also provide a better-defined regulatory path forward. Aviation attorneys and industry insiders discussed the key takeaways. Kansas-based Ainstein has introduced a new air-to-air radar for UAS platforms and a new ground-based radar capable of detecting drones more than 3,200 feet away. Both feature digital beam forming for precise measurements and 3D detection. The FAA Reauthorization Act of 2018 passed by Congress with broad bipartisan support and signed into law last week by President Donald Trump was greeted with optimism by the commercial UAS industry, but hobbyist drone pilots are less enthused. General Atomics Aeronautical Systems Inc. last week successfully completed the first flight of a second SkyGuardian MQ-9B, the remotely piloted aircraft the company says will be the first certified to fly in civil airspace. Montana-based Skyfish has unveiled a new computing platform to fully automate drone infrastructure inspection and measurement tasks. The platform pre-processes infrastructure data and metadata to help create detailed 3D models. The FAA has approved nine new partners to the Low Altitude Authorization and Notification Capability (LAANC) initiative, which provides near real-time processing of airspace authorizations for Part 107 drone operators flying in controlled airspace.